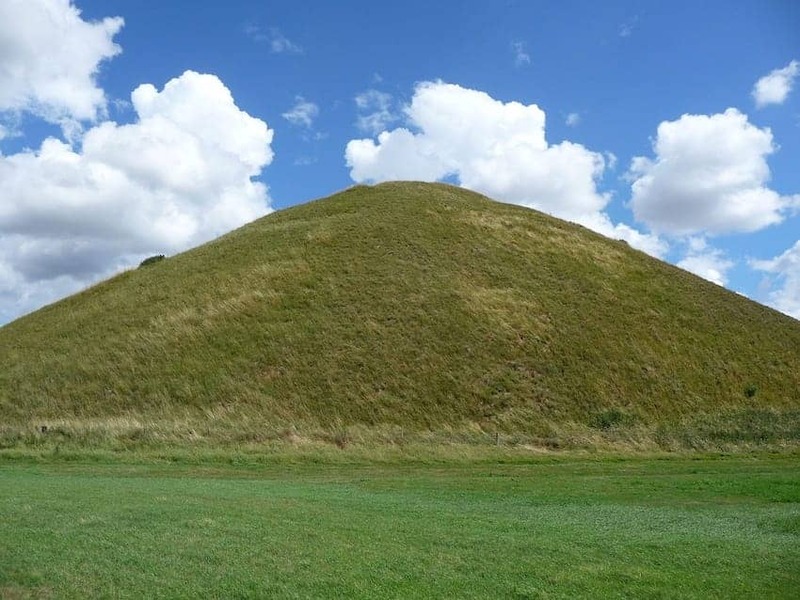 At 129 ft (39.3 m high) Silbury Hill is the tallest prehistoric artificial chalk mound in Europe and one of the largest in the world. Constructed between 2400-2300 BC and located near Avebury in Wiltshire it is part of the UNESCO World Heritage Site. Its original purpose is still unknown though myths and legends surround it. Composed mainly of chalk and clay excavated from the surrounding area, it covers about 5 acres (2 ha). Archaeologists estimate that it took 18 million man-hours to deposit and shape the 324,000 cubic yards (248,000 cubic metres) of earth and fill.